Working on Rolling Stones songs for our upcoming show at the Open Door Rep on 09.06.14. We are on a bill with the Hannah Frank Group. They will open with a set of Dylan songs, then it’s us doing the Stones. We know a few already: Paint it Black, Sister Morphine, Dead Flowers, You Can’t Always Get What You Want, Shine a Light. 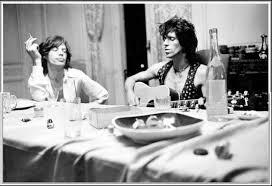 We are trying some others on for size, working them out on acoustic guitar in the kitchen: As Tears Go By, Wild Horses, Under My Thumb, Jumping Jack Flash, Beast of Burden. Can’t wait to try these out with the band at the next rehearsal. it's only r&r but we love it!